Last winter, a teacher friend of mine posted a photo of her classroom showing her “task sticks” for her students. 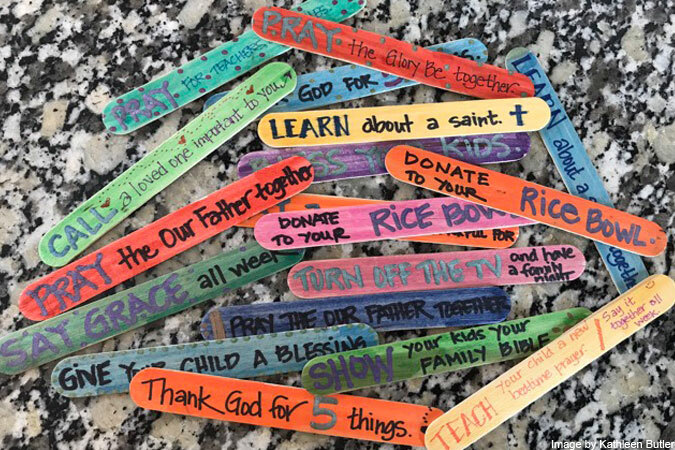 On each stick was written a specific task for the student who held it, such as “line leader,” “pencil patrol,” and “librarian.” I was trying to think of a way to engage my class in prayerful habits during Lent when I saw her task sticks. I thought I could borrow her idea and make “prayer sticks!” I already use inexpensive craft sticks for all kinds of things in my religious education class, and I have a collection of markers, so I had everything I needed. I introduced the prayer sticks at the end of class during our regular prayer time, and I explained how to use them. My students were immediately intrigued. Everyone drew a stick from the jar and read it out loud so everyone could find out what each person’s stick said. It made for good conversation around the circle. One girl’s dad was in the military, so she liked the idea of praying for soldiers. 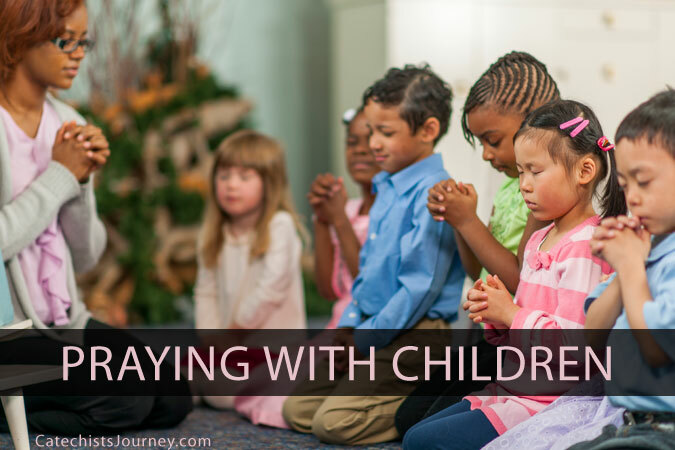 The children thought the idea of saying a prayer after a meal sounded like fun. After that first day, I was pretty happy with this idea, but I was not prepared for what came next. My students wanted sticks for their siblings. One boy asked for a different one because his stick said, “No whining this week,” and he was already doing that for Lent. One girl wanted to change sticks because she’d pulled the same stick the week before, and she wanted to try something else. One family kept their sticks in a jar on the table and used them every night at dinner. One boy and his mother used the sticks to start a new bedtime prayer habit. One week I forgot to place the jar out, and the students were adamant that we stay in class a few extra minutes to get our prayer sticks. Since parents often join our weekly prayer circle, I decided to make a separate batch of prayer sticks for parents at our last class before Easter. 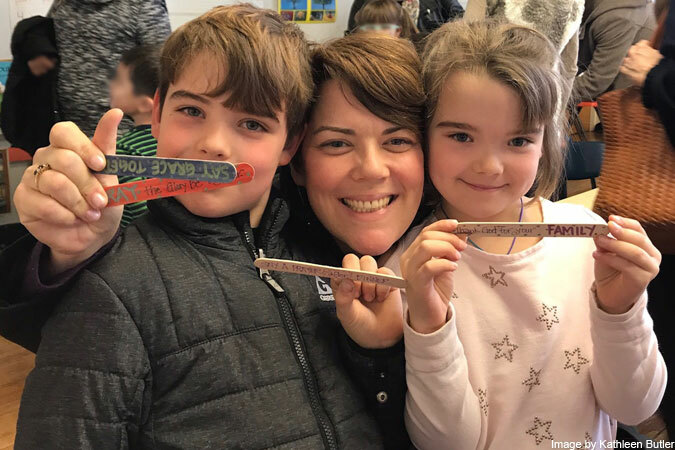 The prayer sticks for parents included tasks such as, “Give your child a blessing,” and, “Teach your child a new prayer.” I didn’t know who was more excited that day, my students or their parents. The prayer sticks completely exceeded my expectations. I had a lot of fun seeing my students embrace a new way to encounter Christ in prayer. This exercise helped them see how easy it is and feel comfortable doing it. The family involvement was a great—and unexpected—way to include parents in the classroom. Help children learn how easy it is to pray every day with the Loyola Kids Book of Everyday Prayers. One of the most practical-in-making, clever ideas I’ve heard in a long time. Thanks for sharing your Spirit-inspired idea! It has a multitude of uses in various contexts! Grace and peace! I have the kids write on the prayer sticks. One for petitions and one for thanksgiving & each week a different child reads one of each at our closing prayer service. Kids love it because they created them, We’ll probably refresh them as the year progresses. I love this idea! My students would love being able to use the prayer sticks all year. Thanks for sharing! Cecilia, the print-friendly option is available at the bottom of every post. Look for it near the social sharing icons. 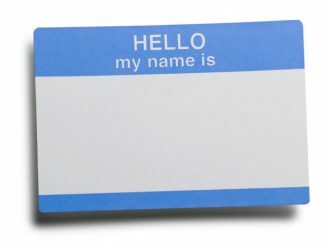 Just saw this article…love this idea!!! I will definitely introduce the prayer sticks for Lent, and tie it in with the “pray” part of the Lenten practices: pray, fast, alms-giving. I really think the children taking the sticks home will help them remember the Lenten practices.